It’s realistic— and not even remotely cynical—to say that the general view put across by the design and mainstream media, on a future shaped by design, is limited. It’s often more about colour prediction or leading the way with the next thing in European lampshade irony, than fixing the problems of the planet. Western Europe, particularly Italy, France, Germany and the UK get strong coverage, as does North America. 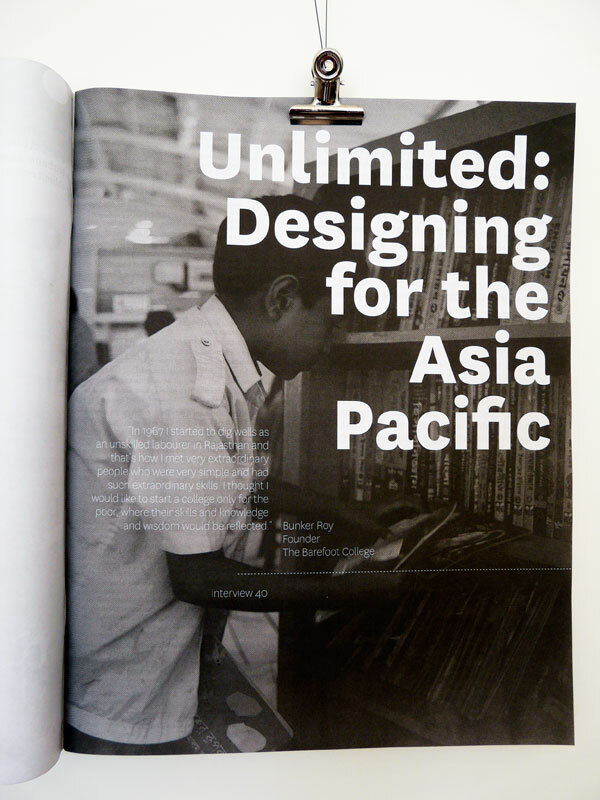 The October 2010 program, Unlimited: Designing for the Asia Pacific, provided hope for a refreshing about-face. Food futures, smart cities, transport systems, new technologies for solving complex problems, health and education were some of the things covered in talks, exhibitions and workshops in Brisbane, 4–10 October. 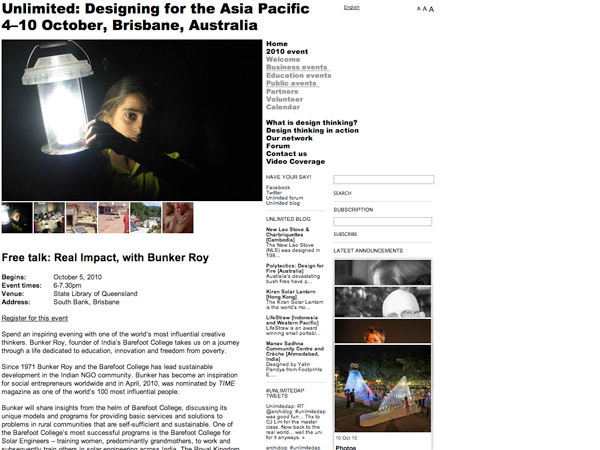 Website design and art direction: Graeme Smith, Beatrice Chew. 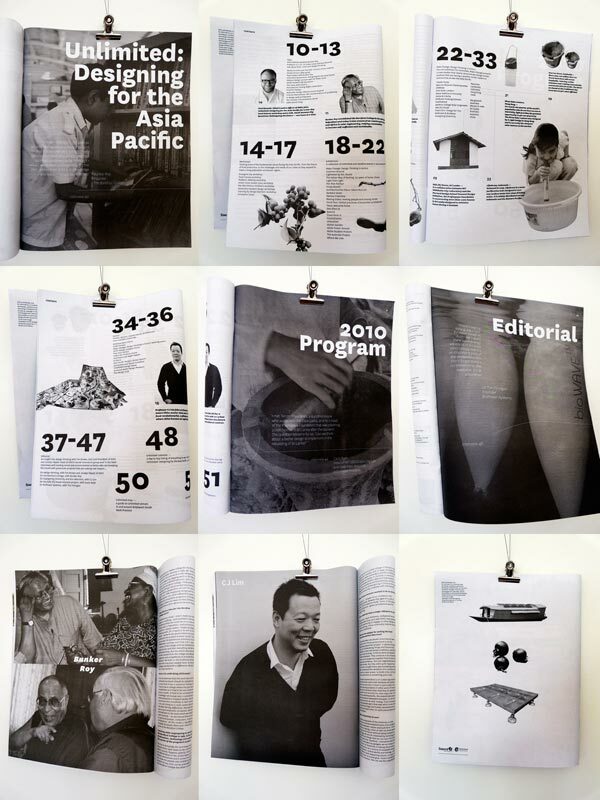 Print and signage design and art direction: Graeme Smith, Beatrice Chew. Content management and editing: Heidi Dokulil, Peter Salhani. 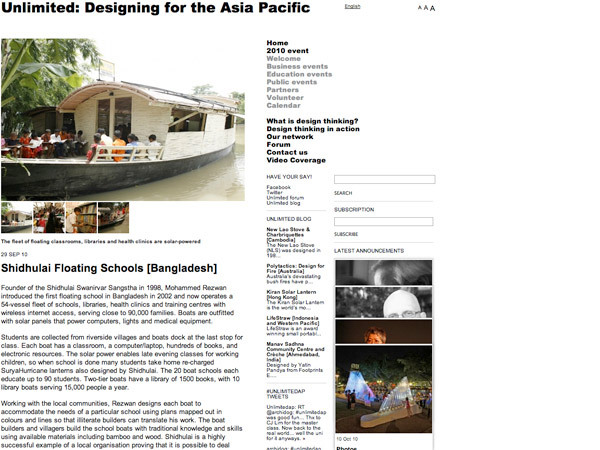 Web development and interactive design: Portable. 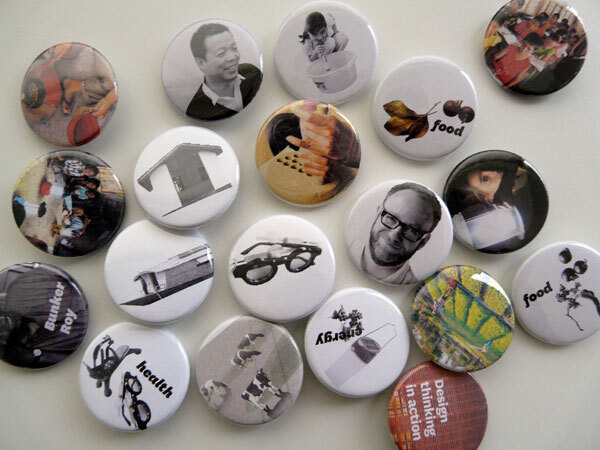 Identity design: R-Co. Client: Queensland government. Other people are credited on the Unlimited website.